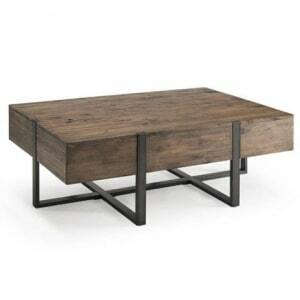 The industrially simple table design showcases reclaimed wood in a rustic honey finish with a distressed iron base. 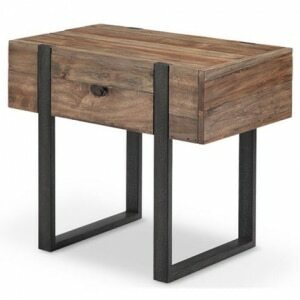 The Prescott Chairside End Table marries the informality of rural farmhouse with an urban loft. An added feature is the hidden drawer. 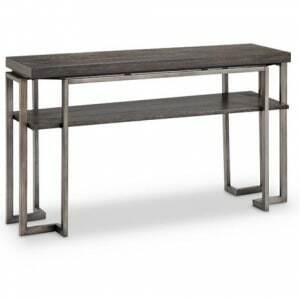 Our Millbourne Console Table features a stylish metal base in a brushed pewter finish. 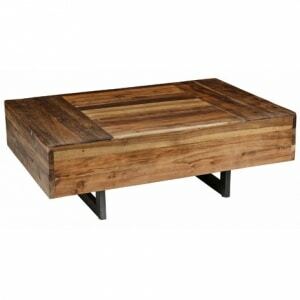 The wood top and lower shelf have a warm burnished caramel tone. 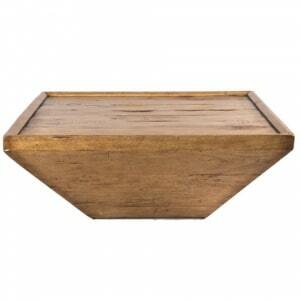 Great to use in an entryway, hallway, or as an entertainment stand. 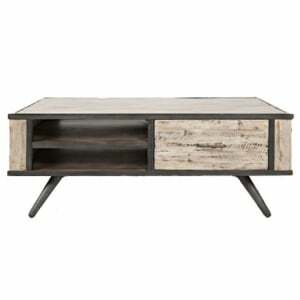 The beauty of nature shines through in our Plateau Coffee Table - it is constructed using reclaimed elm, so there is a range of light and dark wood tones throughout. A sleek inset iron base in a modern nickel finish completes the look. 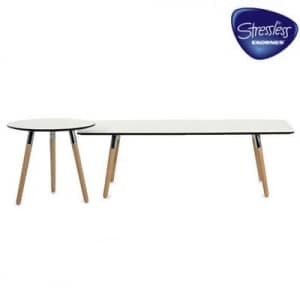 The Stressless Style Tables are at different heights so that they can be paired together or used separately. 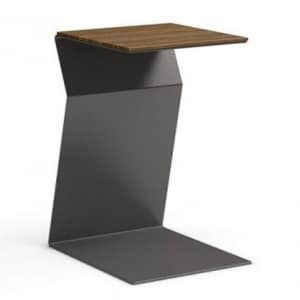 Both the top and the legs are offered in several finishes. 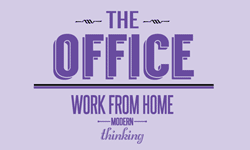 Perfect to pair with Stressless® and Ekornes® furniture! 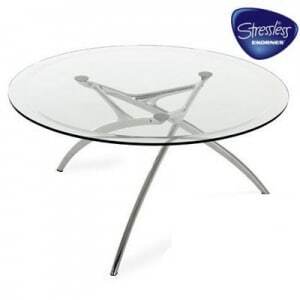 The minimalist Stressless Enigma Table features a sleek aluminum frame and a clear glass top. 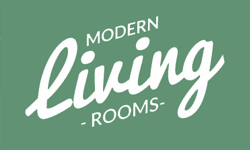 It is designed to pair beautifully wide range of Stressless and Ekornes furniture. The Tribeca Table Collection is eye-catching! 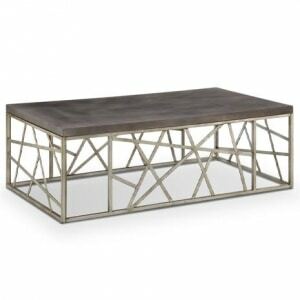 The wood top is finished in a modern smoke gray, and the criss-crossing metal base has a distressed silver finish. 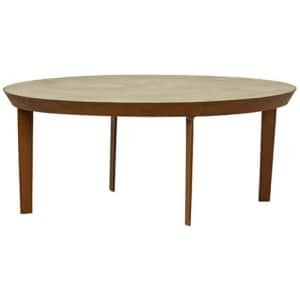 A coffee table, end table, and sofa table are offered, and the tables are available as a group or individually. Our Retrospect Table Collection features a coffee table and end table, as well as a coordinating bookcase, media console, and sideboard. 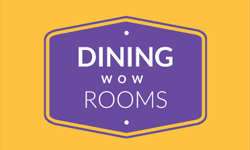 Items are availble as a group or individually. 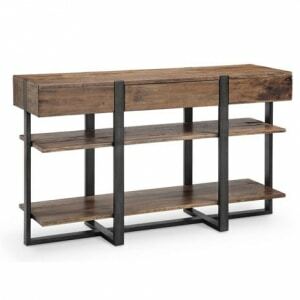 Each has an exposed black steel frame, a unique grey wash wood, and plenty of storage space!